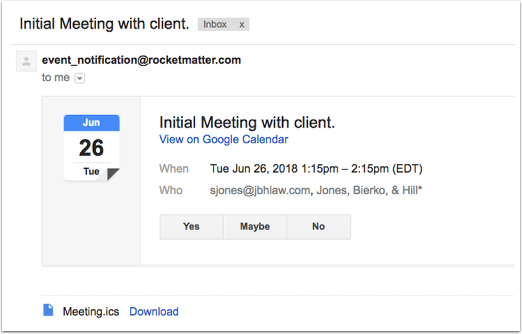 Rocket Matter Knowledge Base CalendarHow to add a client or contact as an attendee to a calendar event. 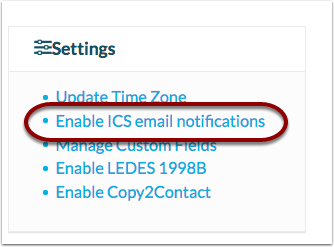 Before you begin, be sure to 'Enable ICS email notifications' in Settings. This will enable calendar notifications for all users in the account. Note: Inviting clients or contacts to your calendar events as attendees does not require any calendar integration (Ex. Office 365 or Google). 1. Navigate to 'Settings' on the left-hand navigational panel. 2. In the bottom-right, click to 'Enable ICS email notifications'. 3. Navigate to the contact record, to add or update the contact records email address. The email address for this contact record will receive the calendar event invitation. 4. Click the green 'Add New' and select 'Event'. 5. Enter the event details and click the blue 'Add attendee'. 6. 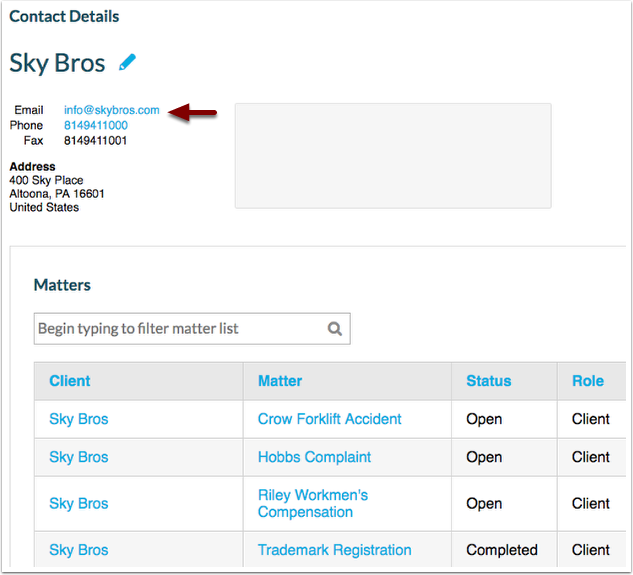 Enter the contact or client record as an attendee. 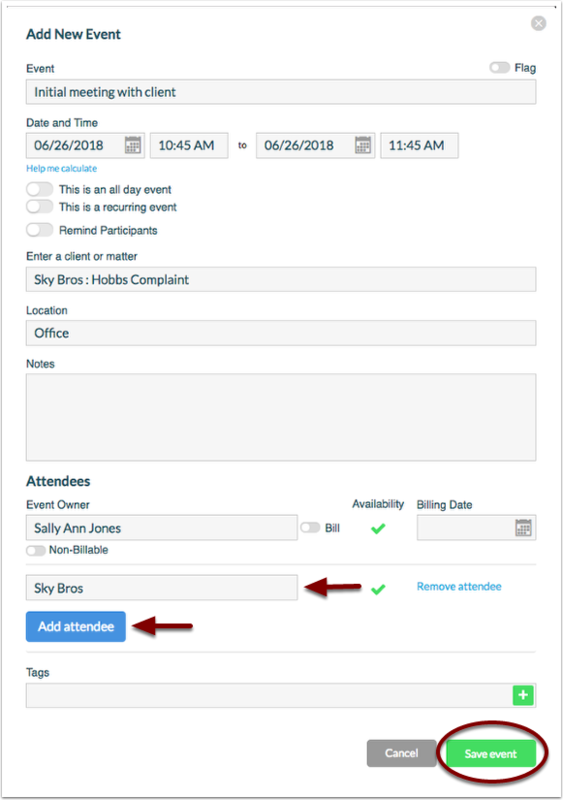 Click the blue 'Add attendee' to add multiple attendees. 7. Click 'Save event' when you've finished creating your calendar event. Users will have the bill tab next to their names. 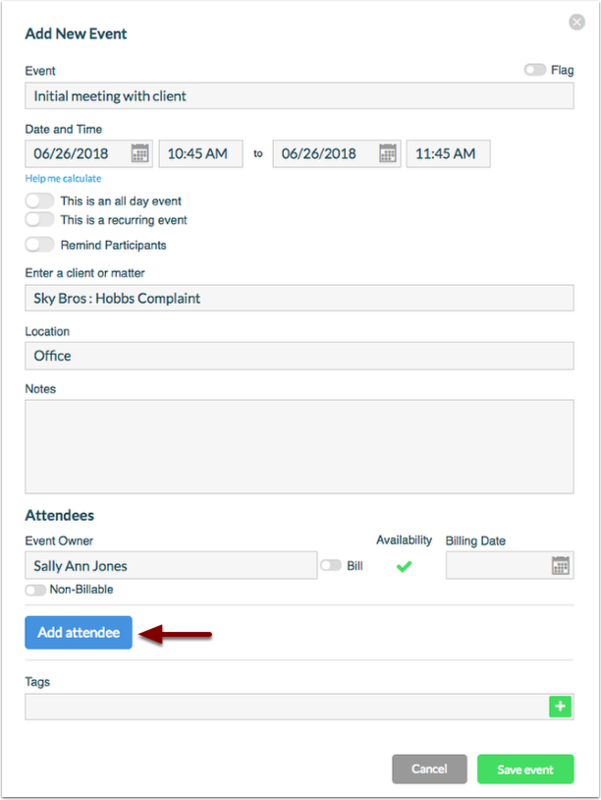 You can easily differentiate the contact/client records as they will not have the option to bill for the calendar event. 8. 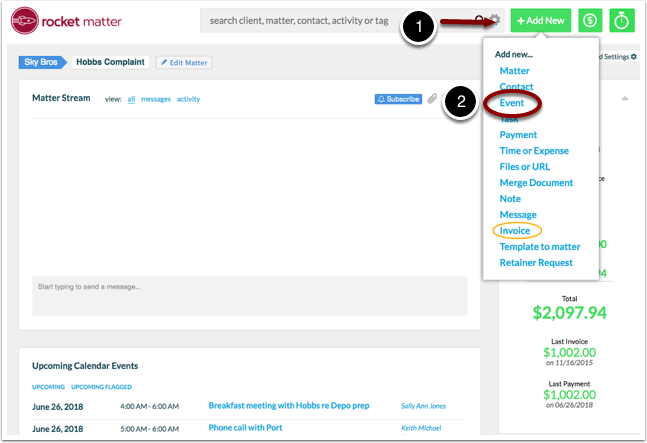 Your contact/client will receive a email with the event notification. The example below is recieved by a client who uses Gmail. Prev: Creating a calendar event with saved configurations. Next: How do I change my firm calendar to show all events.